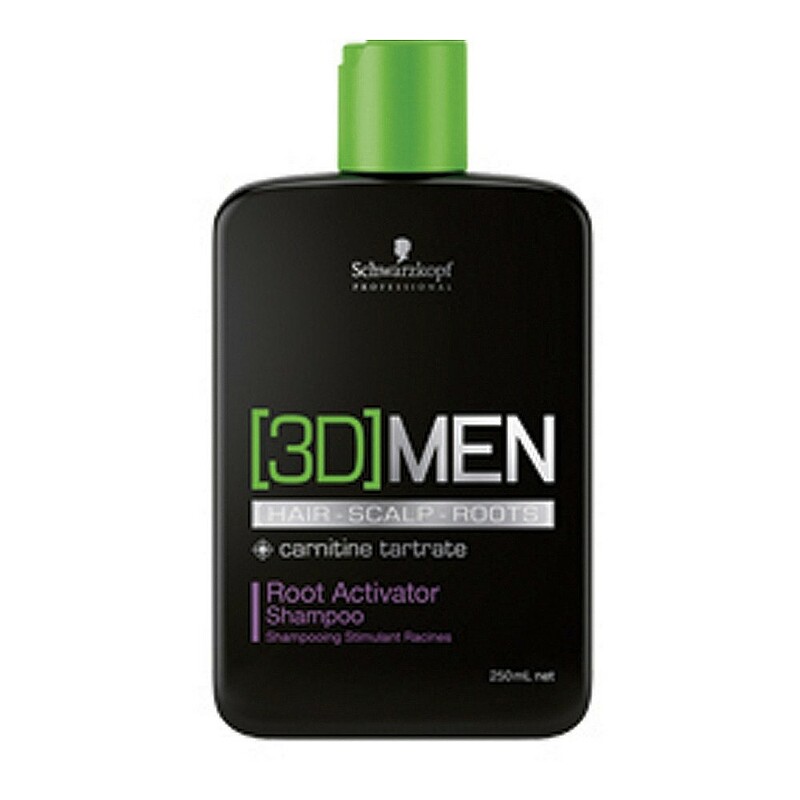 3D Men Root Activator Shampoo helps hair regain density by reducing hair loss and stimulating the roots. Contains an effective combination of 3 ingredients that work on the hair, scalp and roots to increase the production of hair growth factors and provide nutrients to the hair follicle. The decisive and focused Tricho-System addresses the key everyday hair care challenges of men. Panthenol provides moisture for the hair, whilst Taurine strengthens the scalp. Carnitine stimulates and activates hair roots. This shampoo helps to regain density when used as part of a 24 week regime. For best results, use alongside the Root Activator Serum.